Welcome home to this beach-chic tri-level townhome complete with two bedrooms, three baths, custom loft and extra large two-car private garage. This Ocean Park property has been completely renovated from the ceiling to the polished hardwood floors throughout. The brilliant light-filled open plan is accentuated with a gas burning fireplace and entertainment-ready living. 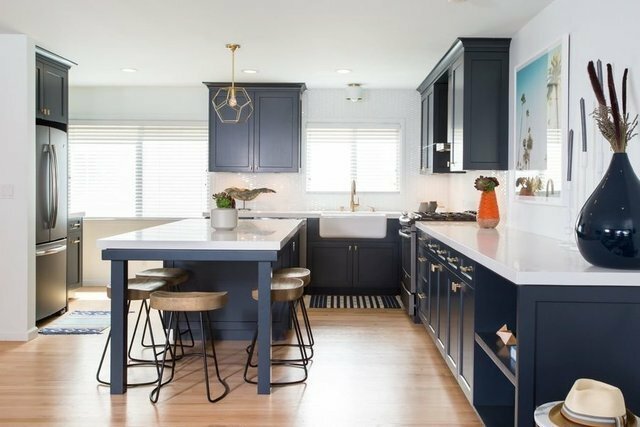 Step up into the chef's kitchen with gleaming quartz counters, custom dining island, stainless appliances and a Shaw's original farmhouse sink from England. Upstairs, the large master with en-suite bath features dual sinks and vibrant tile flooring. The finished loft with ocean views can be a home office, 3rd bedroom, workout space, creative area or lounge. Loft is virtually staged. Your new green space is the coveted Joslyn Park across the street with a dog park, playground, picnic area, basketball court and craft room. Walk, bike or scooter to everything Santa Monica has to offer.